This fish recipe was the answer to Mr. C’s request and it has become a favorite, both kids can easily finish two whole medium fish each in one seating. 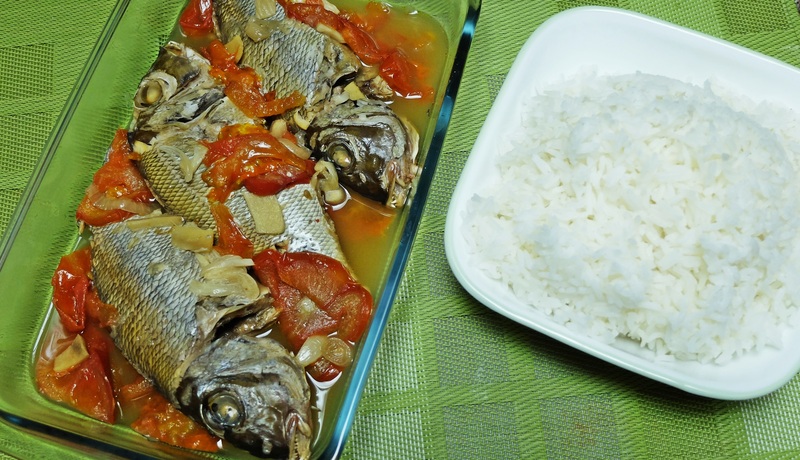 Kinamatisang Isda is a one pot fish dish similar to paksiw that also takes only 20 minutes and you’re done. Arrange all ingredients in a pan, start off by laying half of your tomatoes and onions. Fond of seafood or red/white meat BBQ? Thanks for dropping by! I will check it out.